Have you tried Jolie's dried fruit recipe yet? 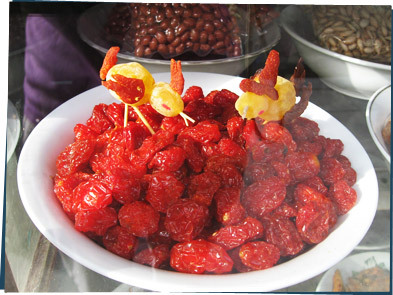 Speaking of dried fruit, here is another way to enjoy it! Fruit comes in so many different colors and shapes and once it's dried it's easier to stick together with toothpicks!